This year’s cherry blossoms are blooming sooner than previous seasons thanks to higher-than-average temperatures during fall 2018. While cherry blossom season in Washington, D.C. is drawing near — with peak bloom expected to start on April 3 — the pink petals are mere days away in Japan. 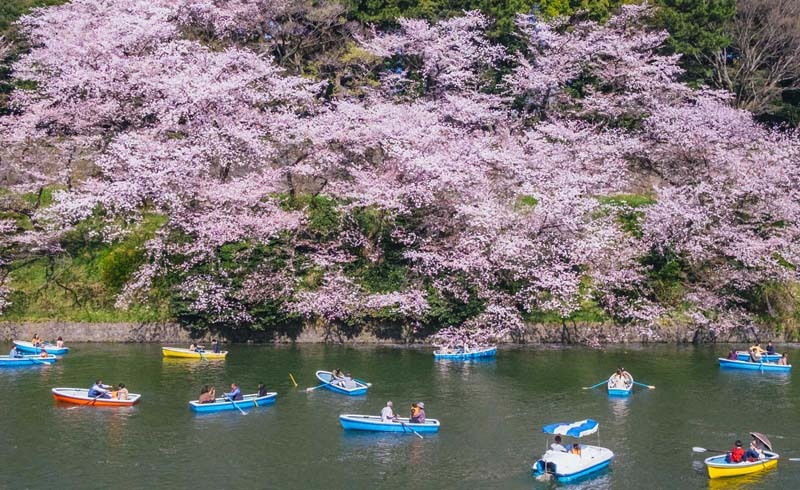 The Japan Meteorological Corporation, or JMC, just released its sixth reportthis link opens in a new tab on when the famed Somei Yoshino (Yoshino Cherry) trees across the country will begin to flower. The forecast lays out Japanese cherry blossom peak bloom periods on a handy chart and color-coded map, with the earliest flowering date of March 17, in the southern city of Kochi. If mid-March seems early for Japan's cherry blossom season, it’s because it is. This year’s cherry blossoms are blooming sooner than previous seasons thanks to higher-than-average temperatures during fall 2018. Because cherry blossom buds form in the summer then enter a dormancy period in colder months, warm temps in fall and winter can kickstart early flowering dates. JMC looks at these fall and winter temperatures, as well as cherry tree growth status, cumulative temperatures, and historical data for each area of the country to create its forecasts. 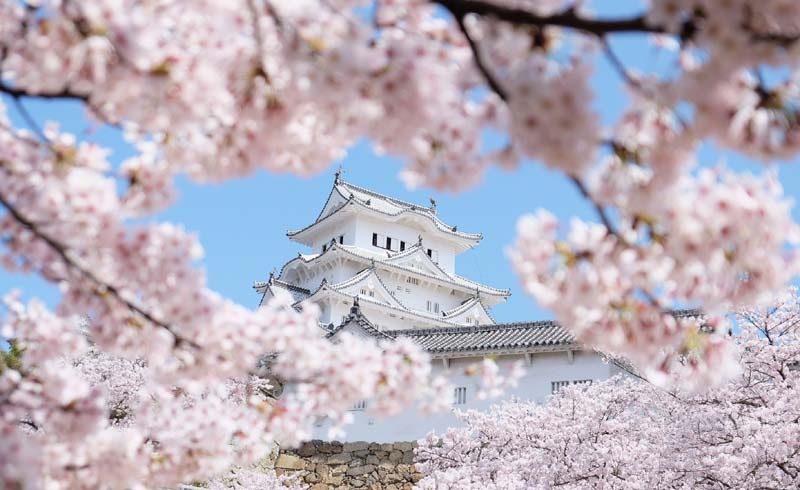 After Kochi, Fukuoka, another city in southern Japan, begins flowering on March 18, per the report. Nagoya and Hiroshima follow on March 20. Flowering dates and their subsequent peak bloom periods follow a general pattern, beginning in southern Japan and making their way north. Tokyo begins blooming March 21, and Kyoto on March 22. But Sapporo, for example, in northern Japan, is predicted to begin as late as May 2. Flowering periods for the trees tend to follow a two-week timeline, from their initial showing of petals to those same petals falling to the ground. In order to see the trees in all their glory, make stops during peak bloom periods, which occur a few days after flowering. In Tokyo that’s March 29, while in Osaka it’s April 1. People across Japan engage in hanami at the height of these vivid bursts of light pink. It’s an age-old springtime tradition of picnicking under the blooming trees. For live updates on peak bloom — and thus where to hanami — visitors can also consult JMC’s flowering meterthis link opens in a new tab, an illustrated, user-friendly guide to bloom periods in cities across the country.